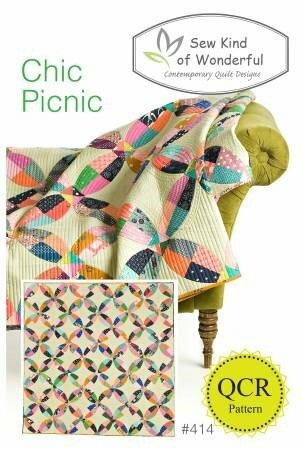 Great pattern for using scraps OR you choose coordinated fabrics. This uses the Quick Curve Ruler to easily piece curves. I've enjoyed using this ruler for this quilt. There are several other patterns by the designer that uses the same technique.